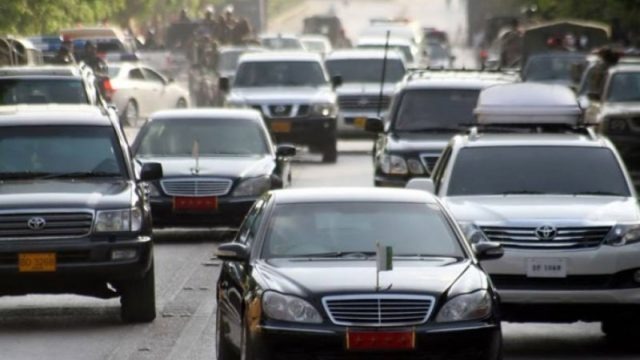 Honda Cars, 8Suzuki ,40 Toyota cars , 5 Mitsubishi, 2 Cherokee, 1 Nissan and 1 Hino Bus. 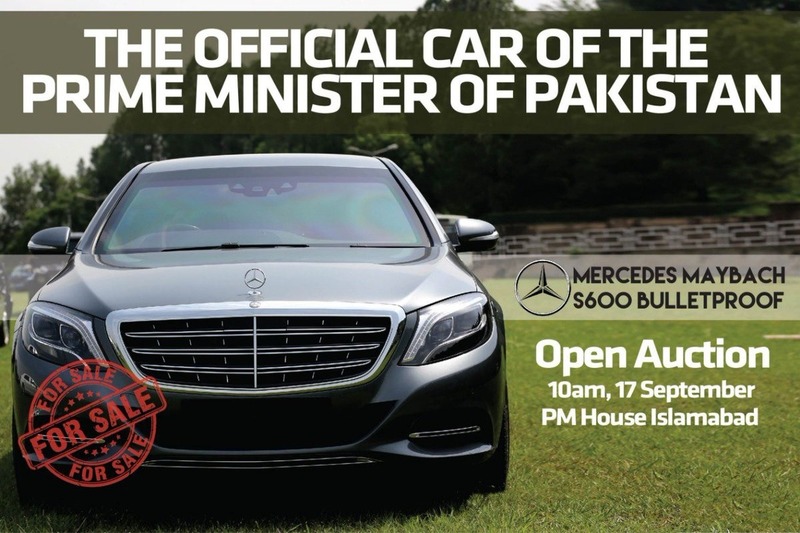 During the first inaugural speech to the nation, the prime minister of Pakistan said on 19 August 2018 and announced for the auction of highly expensive bulletproof cars to maintain the expenses of the country. 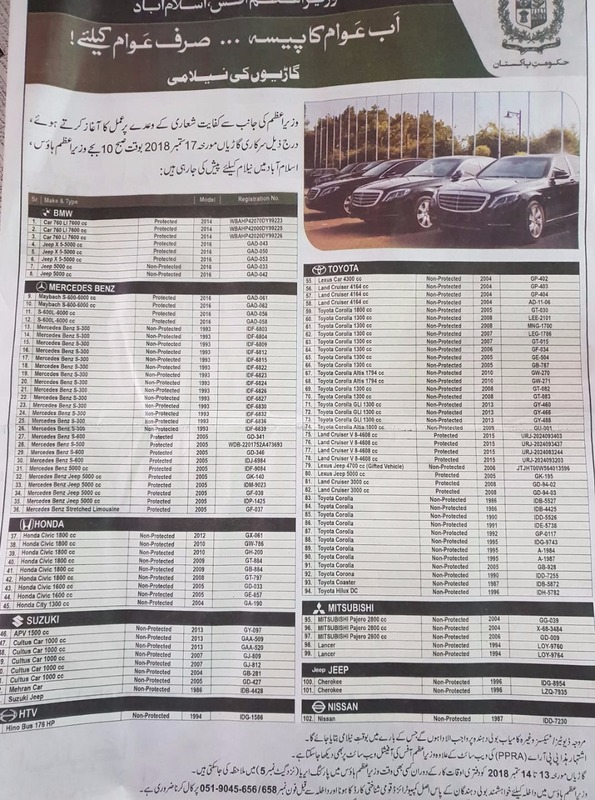 The people can access these vehicles during the office hours from 13 September to 14 September 2018 and the interested people can call prior to auction at 051-9045656-658 and they will bring their national identity card.